Playful, uninhibited, inspired. 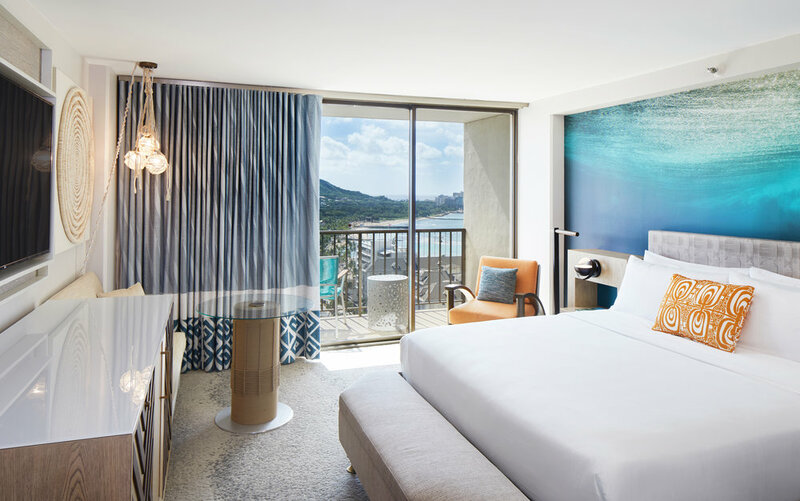 That's the essence of what you'll find at Waikiki Beachcomber by Outrigger, just steps from the shores of Waikiki Beach. Surf, paddleboard, or board a catamaran to explore the island. Dine on locally-sourced delicacies and sip local craft brews at the Maui Brewing Co. Hop on the Waikiki Connection Trolley to nearby neighborhoods. Located next to the International Marketplace, we put you at the heart of the city's culture. Celebrate at our Magic of Polynesia show, seek balance with a holistic therapy at Spa La Cure, and end the day gazing at the ocean from your room.